إذا كنت تبحث عن فندق بموقع جيد في سانت هيلينز، فقد وجدت ضالتك في Bayside Inn . يمكن من هنا للضيوف الاستمتاع بسهولة الوصول إلى كل ما تقدمه هذه المدينة النابضة بالحياة. إن سهولة الوصول من الفندق إلى المعالم السياحية الشهيرة الكثيرة في المدينة كمثل ‪Spiral Creations Jewellery‬, ‪Suncoast Gallery‬, مطار ست.هيلينس هو استثنائي بحد ذاته. يعمل Bayside Inn على ضمان إقامة مريحة لضيوفه من خلال خدماته الممتازة وحسن ضيافته. تتضمن الميزات الرئيسية في هذا الفندق: خدمة التنظيف يوميًا, كازينو, مرافق مخصصة لذوي الاحتياجات الخاصة, تخزين الأمتعة, واي فاي في المناطق العامة. يمكن للنزلاء الاختيار من ضمن مجموعة من الغرف المصممة بعناية لتعكس جواً من الراحة، والتي يتجاوز عددها 52. يقدم الفندق العديد من الفرص للاستجمام كمثل حمام سباحة داخلي, حديقة, غرفة ألعاب. إن Bayside Inn هو خيار ذكي بالنسبة للمسافرين إلى سانت هيلينز، بما يوفره من إقامة هادئة ومرحة. يُرجى العلم أن ساعات عمل مكتب الاستقبال هي من 07:00 AM – 05:00 PM. يرجى الاتصال بالفندق لعمل الترتيبات اللازمة لتسجيل الوصول المتأخر. Apart from those, nothing to recommend. We had the "pool view" room which was via the back door. No access from our room to the rest of the hotel without walking around the street. The inn was right in town and not far from the sea with a playground nearby. Room facing the sea was spacious and though there were no cooking facilities, the inn cafe provided meals which were quite affordable. The lighting in the room was a bit dim but it didn't pose any problems. The Inn has an unattractive exterior, but is located directly facing the sea and pier. The room is on the second floor, no lift, need to walk up stairs. The room has great sea view, with walk-out balcony. The sound barrier is not good, we can hear the noisy kids next door. The free car park is across the road. The restaurant on premise served delicious food with fairly reasonable prices and friendly service. We ordered fresh oysters, seafood chowder, scallops and prawn linguine, fish and chips, and a small mug of pale ale. We enjoyed the meal as we emptied all our plates. The inn is a short walk to the shops, bakeries, supermarkets, to the beach. The room was clean. The hotel was in town so close to shops. The mattress was awful it had a huge sag in the middle. Carpet had big stains on it, very old and run down fittings and bathroom. Ours was the cheapest category and was a pool view room, but it opened onto a corridor to the pool. There was a gate to this pool area which people were constantly using the gate was so noisy banging shut all the time it drove us nuts. There was also a woman with a very loud booming voice who was giving swimming lessons to children all afternoon in the hotel pool. It was not a pleasant stay. 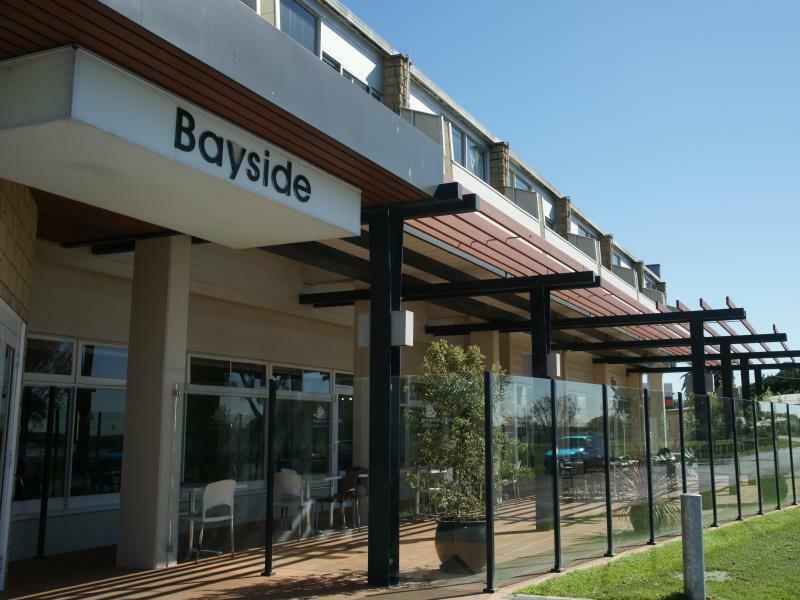 We used Bayside Inn for a one night stopover on our way to Launceston. It is easy to find, clean, and having the bistro on the ground floor made it easy to get a quick meal without having to spend time wandering around town. We would happily stay here again. We wanted to say the Bay of Fires, and St Helens was a good place to find accommodation. The hotel appears to be an old 90s style family hotel, but the rooms were large, clean, modern, and the bathroom was great. We had a view over the marina, and could walk to nearby restaurants. No wifi, and parking across the street. St Helens itself is a sleepy town, and everything shuts early, but it's easy to get to the amazing Binalong Bay. All staff,( particularly the lady who upgraded us to sea view room) and Terry in the bar. Large room with great view of riverfront.very convenient. We had booked a town view room for two couples, but they were very shabby with broken curtains and not very inviting. We had international guests with us and reception kindly move us to river view and it was fantastic!! Sunny, bright, big,with 3 beds, table and chair, balcony. We loved it. 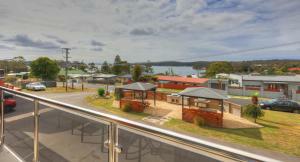 Close to the shops and beach. The room was spacious and clean though the curtains required some repair as they were not hooked onto the rod as the tape had perished. This allowed lots of light to come in at night as well as the heat from the west in the afternoons. It was very hot weather and only had a fan - no airconditioning. The hotel was very quiet and even with families of children staying there, the noise was minimal. We ate at the restaurant and enjoyed our meal there. Parking was easy and the staff were friendly. There was a lot of good sightseeing in the area and easy walks ao well. Located in the middle of the shopping area. Good view of the waterfront. Large rooms that accommodated a family of four very comfortably. While the restuarant closed too early for someone from Melbourne, like all other restuarants in St. Helens, the service was welcoming. The reception staff were willing to be called back after closing time of 11pm, if some of our party arrived later. The location of the hotel is very good. The staff of the hotel is helpful. The name of the hotel is right to its position. It's close to water side and supermarket. The guests could walk to shopping with just minutes. There are enough park sites for car parking. The room we lodged is not very big but comfortable. 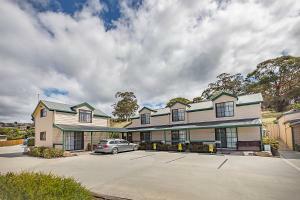 The hotel is located in the beautiful seaside town of St Helens on the sunny east coast of Tasmania.On the trip to this destination you will see some stunning views. On arrival at the hotel I am sure you will receive a warm welcome from the front office staff.They are also very informative. There are several levels of rooms available ranging from budget motel rooms to good rooms actually inside the hotel some with balconies and views of the sea. There is a heated pool gaming and betting facilities and the meals are excellent where the world class local seafood is showcased. Although this establishment could do with afacelift for price and location I have no hesitation in recommending it as a great place to stay. have stayed at this venue before. since then some improvements made to rooms. very good accomodation and restaurant meals. thoroughly enjoyed our stay which was enhanced by the friendly and efficient staff. will definitely return in future. Staff at Bayside Inn at St Helens was helpful and the room was spacious and clean. It was only a short walking distance to supermarkets and very convenient for us to go to Binalong Bay to view the orange lichen covered rocks. Breakfast was good too. Being so close to the bay also afforded us great views. among the few hotels we stayed in this trip, this hotel is lowest in terms of our liking. other than it's location next to waters, and therefore chance for viewing sunrise, it's rooms and other features/fixtures are old, although still functioning well.